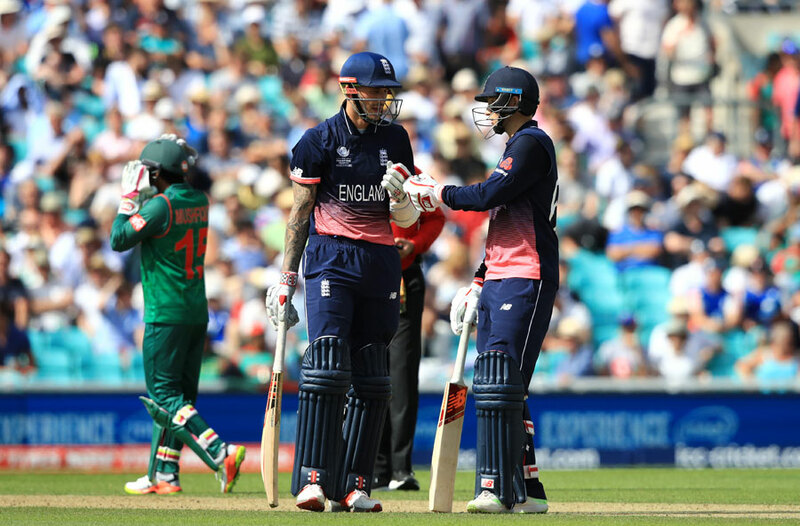 LONDON: Joe Root scored an unbeaten century as hosts England beat Bangladesh by eight wickets in the opening match of the Champions Trophy at the Oval on Thursday. England set 306 for victory, finished on 308 for two with 16 balls to spare. Root was a career-best 133 not out and England captain Eoin Morgan 75 not out, with their unbroken stand worth 143. Opener Alex Hales was out for 95. England suffered an early loss as Mustafizur Rahman took an exceptional catch of Jason Roy on the bowl of Mashrafe Mortaza. Earlier, Tamim Iqbal´s superb hundred helped take Bangladesh to 305 for six against England. 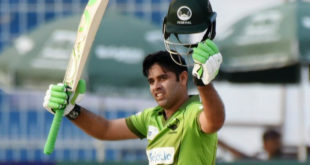 The left-hander received excellent support from Mushfiqur Rahim (79) in a third-wicket partnership of 166. That was Bangladesh´s highest stand in a one-day international outside of Asia, surpassing the 141 put on by Mushfiqur and Mahmudullah when the Tigers knocked England out of the 2015 World Cup with a dramatic 15-run win in Adelaide. Both batsmen, however, fell in successive balls from fast bowler Liam Plunkett to leave Bangladesh 261 for four in the 45th over. Fast bowler Plunkett led England´s attack with four for 59 from his maximum 10 overs after Chris Woakes went off after bowling just two overs because of a left side strain. England, who came into this tournament featuring the world´s top eight ODI sides as one of the favourites after making huge strides in white-ball cricket in the last two years, were given plenty to think about after skipper Eoin Morgan opted to field despite sunny skies promising good batting conditions. Tamim´s fellow left-handed opener Soumya Sarkar should have been out for 11 when he turned Jake Ball off his pads only for Moeen Ali to drop a two-handed catch at square leg. But all-rounder Ben Stokes, who had been struggling for bowling fitness because of a knee injury, made the breakthrough with the last ball of his first over when Sarkar, on 38, uppercut him straight to substitute Jonny Bairstow at deep cover. Imrul Kayes (19) fell when a miscued drive off Plunkett was well caught by a diving Mark Wood at mid-on to leave Bangladesh 95 for two in the 20th over. That was the cue for Tamim and the diminutive Mushfiqur to take charge. An increasingly frustrated Stokes exchanged words with Tamim and the all-rounder mockingly patted him on the shoulder at the end of the 32nd over. Tamim was unimpressed and umpires Rod Tucker and S Ravi intervened to calm tempers. Mushfiqur then punished Ball for dropping short by cutting him to the third man boundary. He went to a 48-ball fifty by driving part-time off-spinner Joe Root for four. A single against off-spinner Ali saw Tamim reach his ninth ODI century in 124 balls. The 28-year-old then went down the pitch to drive Ali for a soaring straight six. He was out when a skyed pull off Plunkett was held by wicket-keeper Jos Buttler. The batsmen had crossed and next ball Mushfiqur carelessly holed out to long-off, with Bangladesh only managing a relatively modest 43 off the last five overs. 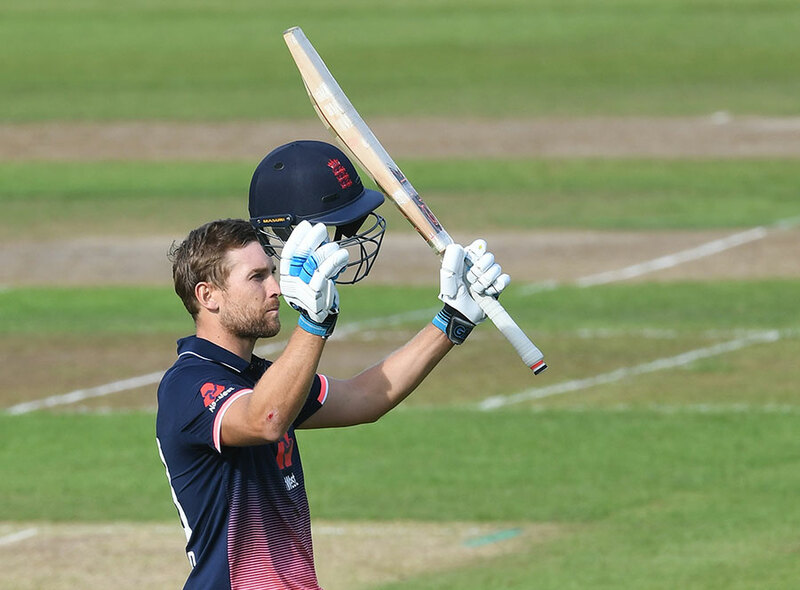 England have been transformed since their dismal World Cup performance two years ago, with their power batting making them even more formidable in their own conditions. But a determined Bangladesh, after an absence of more than 10 years, have made a welcome return to the Champions Trophy ranked sixth, above both Sri Lanka and Pakistan. Both teams feature several survivors from Bangladesh´s 15-run shock win at Adelaide which condemned England to a woeful first-round exit from the last World Cup.